I’m just going to talk about our Open team here, because I could go on for days about each of our club’s teams otherwise! Our season was pretty good, but yet we finished with no silverware, which is a little disappointing I guess. Our results at outdoor events were better than at indoor events, which is fair seeing as we focus more on skills improvement at our indoor sessions rather than tactics and as a result we take Indoor IVs less seriously – something which can rub other teams up the wrong way unfortunately, but there is no intentional disrespect with our approach to indoors. 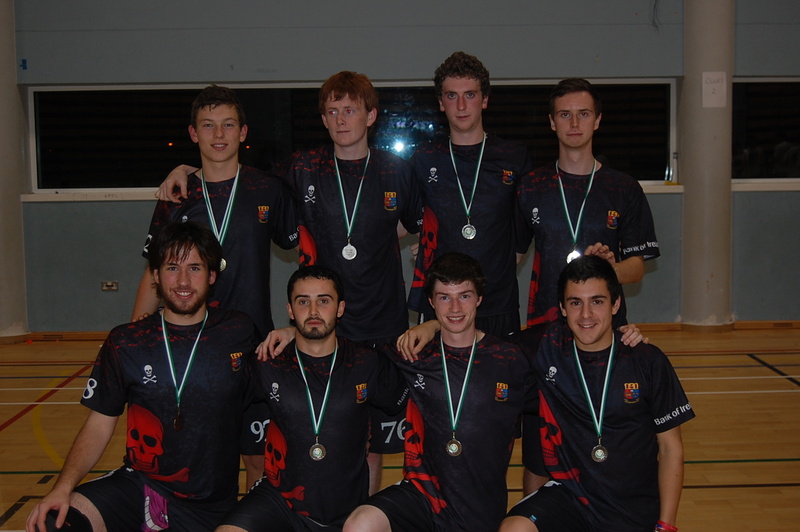 We finished 7th at Open Indoor IVs, so after coming 3rd the year before, it was a big step back. At Cork Open we faired all right, but tired heads and legs on Sunday, and a few injuries, saw us finish 8th. At the Siege we played really well in almost all of our games – we won all our games bar one, losing to UL, who in fairness deservingly walloped us. 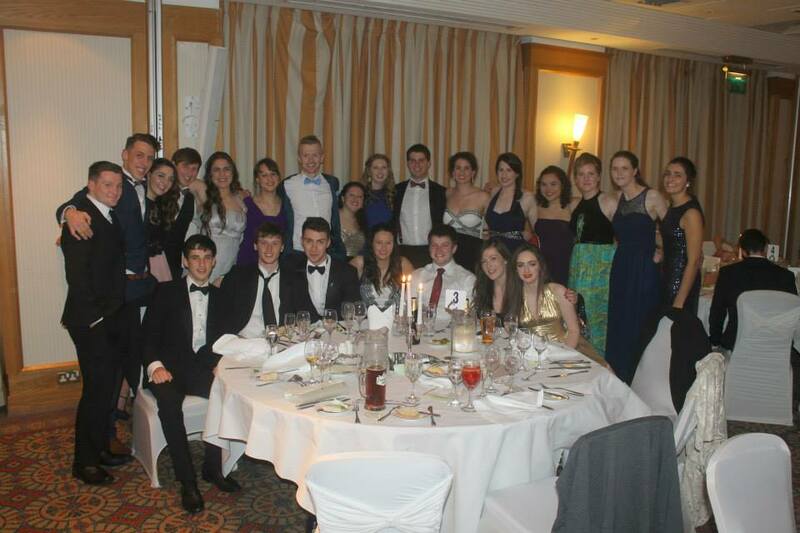 We came 5th overall, the highlight finishing team from outside of GB and Limerick. Our focus was always on Open IVs though, and in years gone by we’ve had average regular seasons only to turn it on when it matters most. 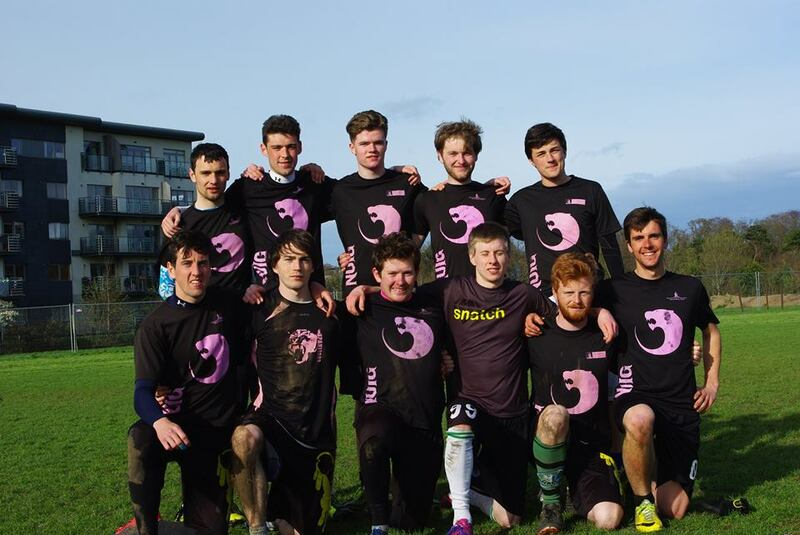 We had two very shaky performances in the group stages on Saturday against QUB and NUIG, but we got our heads sorted and got some revenge on UL after our loss to them at Siege. We had a relatively easy quarterfinal vs. UCC2, and then we played UCC1 in a really good dogfight. We came out on top and would face Trinity in the final. At this point we were down a few heads through injuries, but in fairness to Trinity they played to their strengths in the final and were deserved winners. It’s a real pity that we finished 2nd this year, because I think we could have done the repeat if myself, Fergie and Bermie hadn’t been injured, but it was still a brilliant year for us. https://www.youtube.com/watch?v=WF1LHw2zGS4 – this could help paint a picture of our highlights! The club highlights included our two Devs teams reaching the final of their respective divisions; the Ladies team returning to the Outdoor final for the first time since 2012; the Ladies coming third and winning spirit at Indoor Ladies IVs; having three teams at Mixed IVs the most from any college, with UCD Y winning the plate; hosting Mixed Indoors (the first tournament we’ve hosted in 3 years); having 2 teams at Open IVs, both with large squads – there were a lot of positives this year on the pitch! 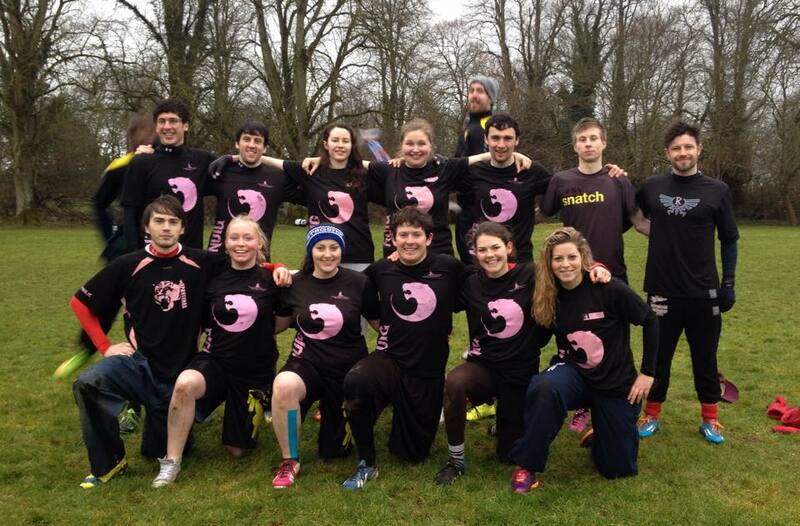 Highlights for the first team include beating Ranelagh at Siege, beating UL and UCC at IVs because these are two of our top three rivals, and probably our comeback vs QUB at IVs too – those lads in the north have been doing great stuff to build up a strong club and they gave us an almighty shpookin’ in the first half! 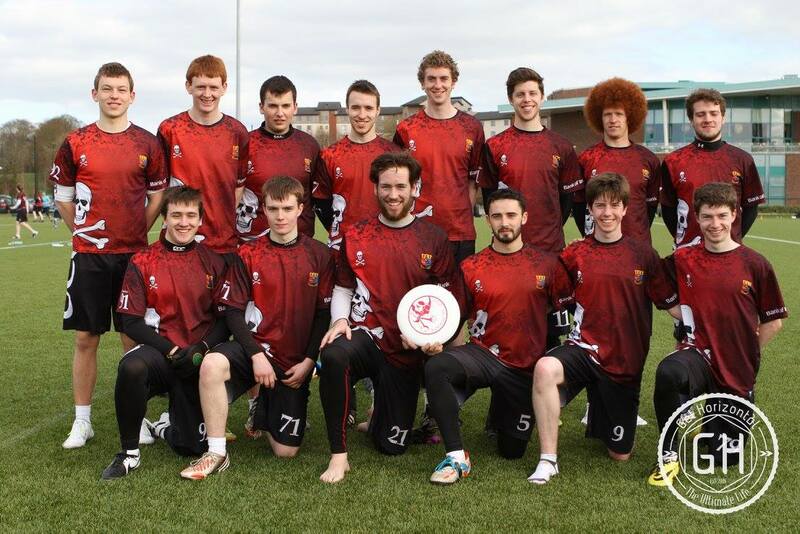 Returning to the Open IVs final again this year was great obviously too, even though we came up short. Some of my own highlights are mainly just from a coaching point of view. It’s awesome to see teams and individual players that you train go out and boss it. 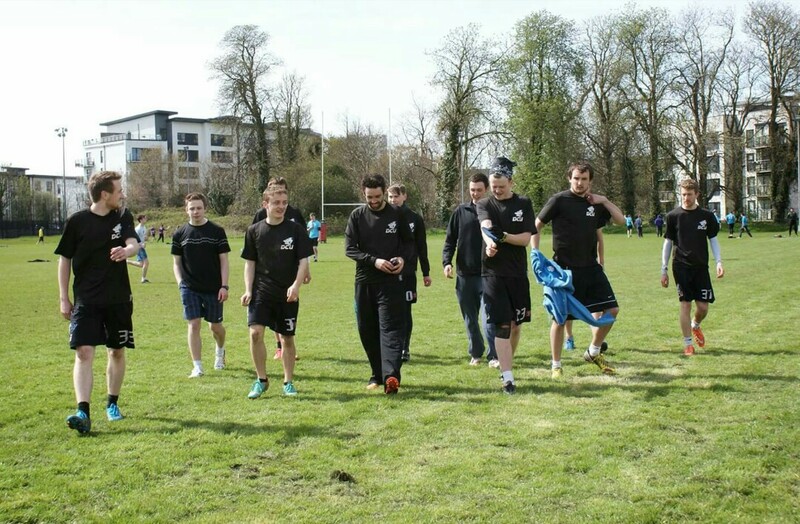 The Devs team is made up entirely of lads I was coaching this year and last year with Liamo, and to see them throwing really nicely weighted hucks or “skying peasants” is pretty much the reason I gave up my Tuesday evenings for the last two years. 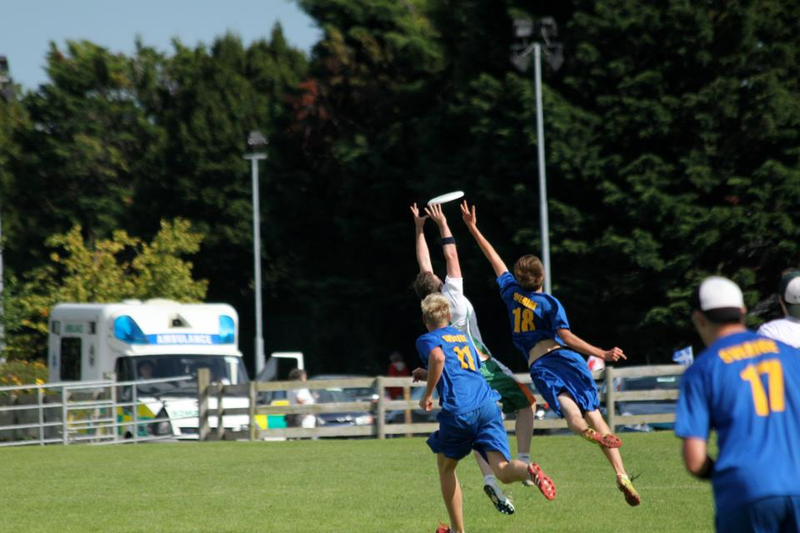 I think everyone’s favourite highlight this year was Joey skying about 6/7 people to get an upwind break against UL at IVs. 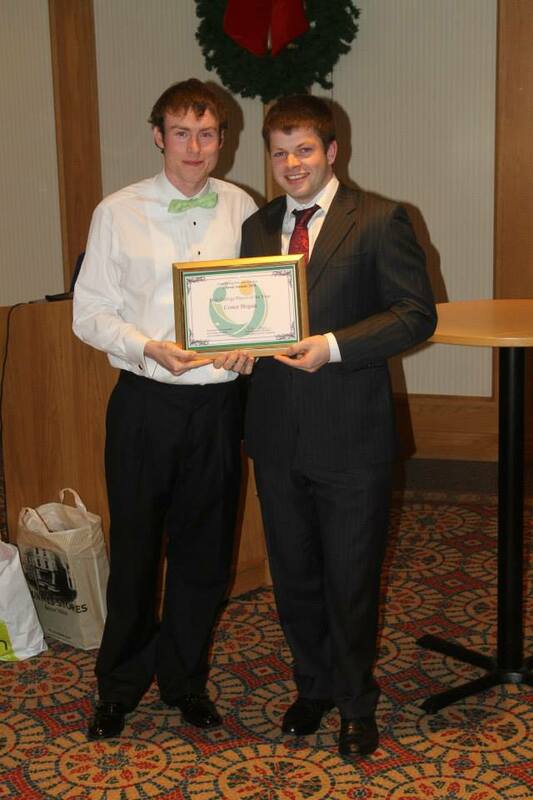 Another highlight for the club was being awarded the IFDA College of the Year award at the 2014 IFDA Awards Ball. While this was for our 2013/14 season, it was still a great moment for the club and a great way to round out our first semester of the 2014/15 season. The college game in Ireland is forever increasing in standard across the board, so it was a great achievement for our club to win this award. On the same night, I received the College Player of the Year award. It was great to be nominated in this category to start with and then to win it was awesome too, as the other nominees all had great seasons themselves. With the players we had, we probably could have given Open Indoor IVs a good bash, but the times we’re given for training indoors don’t agree with everyone’s timetable meaning its hard to train as a team and so we just wing it! It would be nice to focus on this tournament for next year perhaps. Other than that, it’s hard to say really. We had a pretty good year across the board so I don’t think there’s much I’d change, no. How did freshers fair go (way back when)? And did you get many players who had played previously (at school)? We have a two-part recruitment drive: part 1 is in September. At Fresher’s Week we have 4/5 days of recruitment, which is where we get the bulk of our new recruits (and a few Americans!). Part 2 is “Refreshers Day” in semester 2 and we normally get some new bodies to practice from this too. Generally speaking, we recruited pretty well this year and retained a good number of guys and girls. Some had played a bit before all right – a few Irish U17s & Juniors were in the ranks. 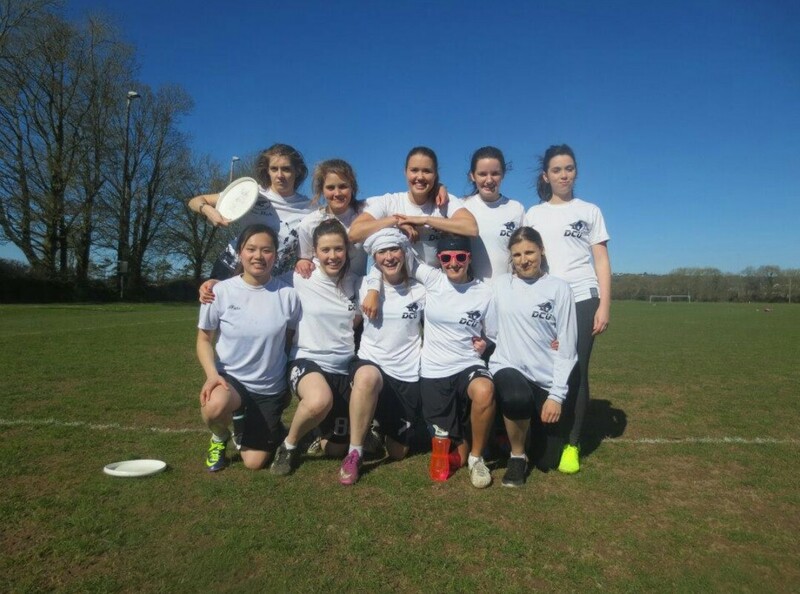 The great thing about the online presence of Ultimate at the moment is that more and more clips are going viral so more and more people have at least heard that Ultimate is a sport by the time that they’ve met us. Our American counterparts are doing great things to get consistent media exposure and it’s getting well recognised over here too. 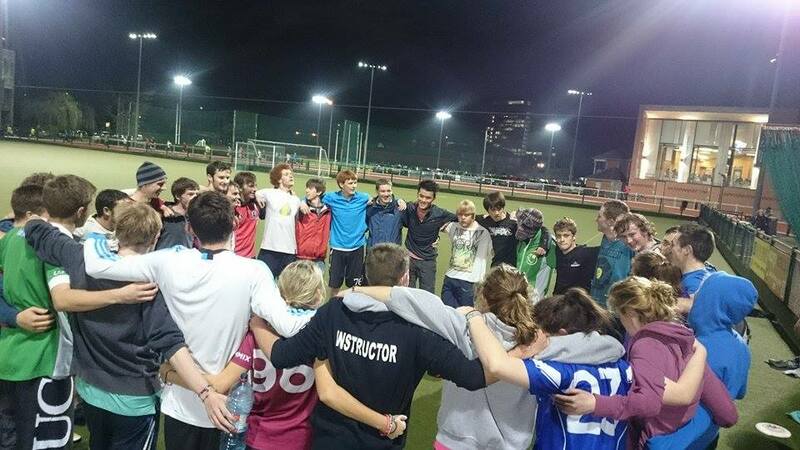 We had something like 30/40 beginners at our first few sessions in September/October (it’s worth noting that it’s minimum €15 to join clubs in UCD, so convincing people to join is getting more difficult as this rises – it was €10 last year). 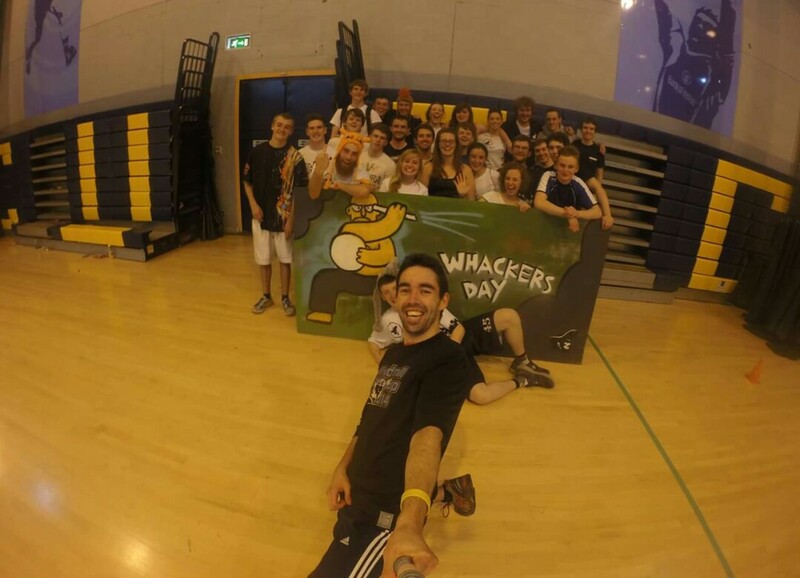 That said we retained about 15 or so beginners throughout the year – including those from Refreshers Day. The Ladies side of the club have been recruiting really well too in the last few years and I think they retained similar numbers. Was this the usual sort of level of retention? Or did you do anything differently this year, which had more or less success in retaining/gaining new players? This is pretty good for us to be honest. By the time we get 3 or 4 sessions with the beginners in September/October, it’s already Week 6/7 of college, so mid-terms and assignments are lurking around and a lot of people will stop coming to sessions to focus on college work (the fools!) and then some just aren’t bothered coming back, which is a shame. We try to focus on having game heavy and fun trainings for our first few sessions after teaching the basic throws and that because that seems to be what peaks people’s interest. There has been a decent focus on having more social interaction outside of training these last two years and that has proved pretty valuable too. We’re careful not to just promote ourselves as a party club though and that the sport is as important as having the craic. Getting beginners to a few beginner tournaments is great for keeping them around too; Edinburgh and Whacking Day/Trinitea Party have been the tournaments that we’ve attended most often in years gone by and those who attend these tournaments are much more likely to stick around than those who don’t. How many of your first team players will you be losing? Are you excited/positive about 2015/16? We’re losing a lot of our first team squad. 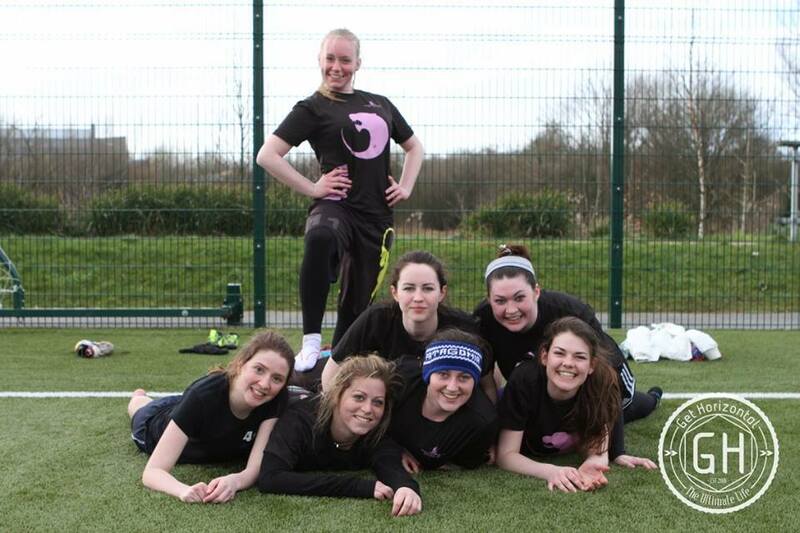 We had about 18/20 players in our first team training squad this year, but only 13 of those are still in UCD next year, and about 4/5 of those are going to be on Erasmus or on work placement. So it will be a great chance for this year’s beginner group to push on and to get integrated into the first team. Despite a lot of our top players and leaders leaving, we’ll still have a pretty strong core of players. I think it would be stupid enough to dismiss us as title contenders again next year, but it won’t be the same UCD as the last few years. We’ll have to re-think our game plans (as we had to do this year when Tuffy graduated), and we’ll probably come back with different structures next year too. I won’t be coaching again next year, at least not in a Head Coach role, so there is definitely scope for new ideas and I’m pretty excited to see how we deal with these new challenges. It could be totally hit and miss, or it could be exactly what we need to win IVs again. 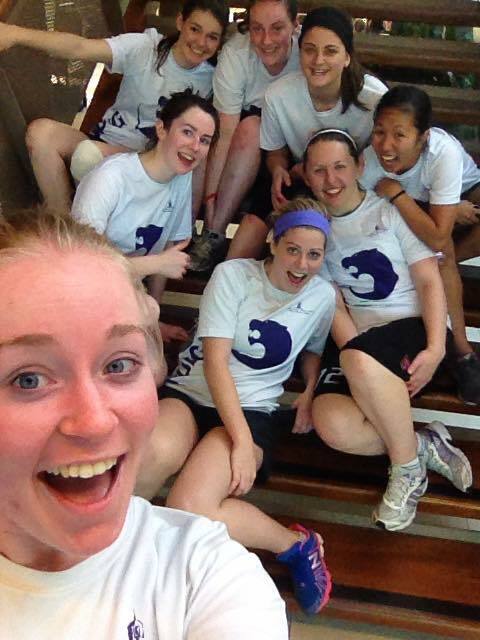 Yeah, we’ve a few players involved in national teams: Michelle Mac Lennan (a first year player) is playing on the Junior Women’s team; Conor McCarthy, Ferdia Rogers, Owen Binchy, and Stephen Jones are all playing on the U23 Open team; Lizzie O’Sullivan is playing on the Senior Women’s team; Aine Gilheany, Deirdre Kavanagh, and myself are all playing on the Senior Mixed team. Most of our players are affiliated with different clubs too, and there seems to be a decent contingent looking to volunteer at different tournaments around Europe (Windmill, Dublin’s Golden Cup, etc.) 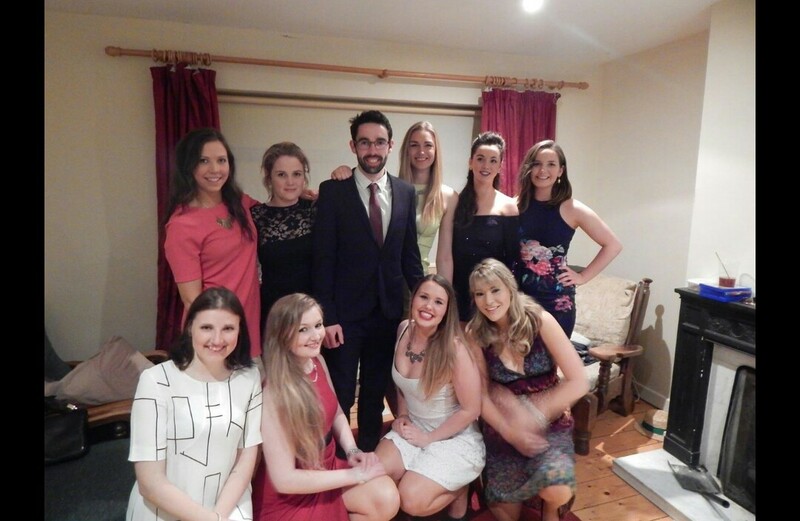 so there will be UCD heads about the place this summer all right! Absolutely! The social media coverage from most teams in the past has been great, and occasionally we can enjoy streamed games and live updates on Facebook or Twitter. So I imagine, there will be a few days in the office that I’ll be bashing the refresh button and sitting here like a nervous wreck. I’m really looking forward to seeing how the U23 Open and Junior Open teams get on. Doc did great stuff with the last Junior Open team, and this one is fairly stacked with the best young talent from around the country, so I expect they’ll do quite well. 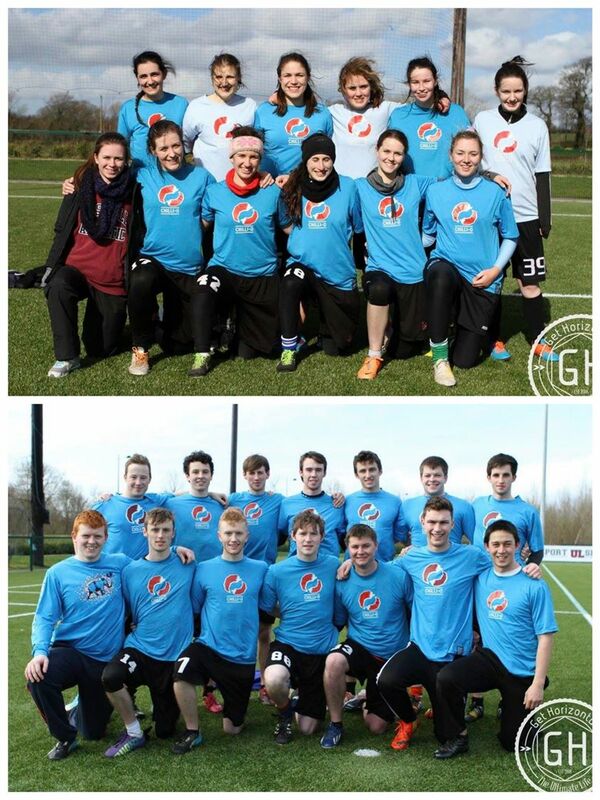 The U23 Open team then is stacked with some of the best college and club players we have, so it will be really interesting to see how they fair this time around – Worlds is on in London, so it’s only a hop over on the plane if anyone can go support the Lads (and Mixed) team! Then of course there’s EUC and I’m fairly pumped to get over there and give it a bash. There will be 3 Irish teams over there so the craic will be mighty and I think all three teams are set to have some great performances. Stay fit. Since April 2014, I’ve been fairly riddled with injuries. If there’s one thing I can do between now and EUC (and AIUC!) it’s stay fit/not injured. If anyone has a spare hamstring or patella tendon lying around your house that you aren’t using, let me know! As well as that, it’s going to be a case of practice my throwing. You should never stop practicing and refining your throwing, even if you’re super comfortable with how they are at the moment. And lastly, I’ll be doing a good bit of speed work. Being injured on-and-off for a year doesn’t help with a first quick step so I think I’ll focus on getting this sorted too before Euros. What else should we have asked you/would you like to add? I guess you could have asked how UCD got to the point we’re at today. Since I joined in September 2010, there has been Trojan work done by a number of people to build up the club, so without these guys we wouldn’t have a hope of being where we are – the likes of Conor Casey, Emer Staunton, Liam Fletcher were all instrumental in the recent development of the club, and so too were our coaches through the years Fiona Mernagh, Ian French, Darron Costello and Kev Timoney. This is all obviously on top of what came before that in the 00s. So here’s to next year and long-live Chilli-O!